Happy Bunch are raising their funds through pitchIN, a crowdfunding platform which works similarly like Kickstarter. Through equity crowdfunding, Happy Bunch hope to develop and market the first prototype of “The Mother Nature”, a platform that will enable flower farmers and end consumers to trade directly within Asia. Most of us would only think of buying flowers on special occasions but Happy Bunch wants to change the way we think. They want it to become a lifestyle fixture, something which we will use everyday. 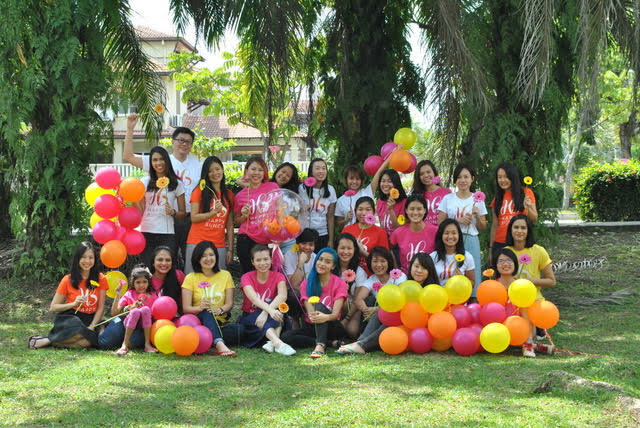 Happy Bunch is an online florist that offers next and same-day flower delivery service in Klang Valley, Malaysia. 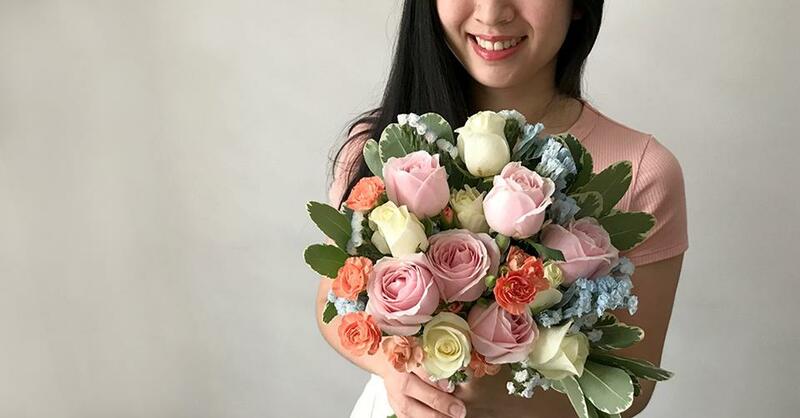 They design a new bunch of flowers daily, and deliver to most areas in Kuala Lumpur and Petaling Jaya. We spoke to Joanne Ho, co-founder of Happy Bunch to get some insight into their recent equity crowdfunding annoucement, where they’re targeting to raise RM1.5 million. Happy Bunch wants to build “The Mother Nature”, a platform that will enable flower farmers and end consumers to trade directly within Asia. Through equity crowdfunding, they hope to develop and market the first prototype, firstly with farmers in Cameron Highlands. Dictionary Time: Equity crowdfunding is the process where people (i.e. the “crowd”) invest in an early-stage unlisted company (a company that is not listed on a stock market) in exchange for shares in that company. 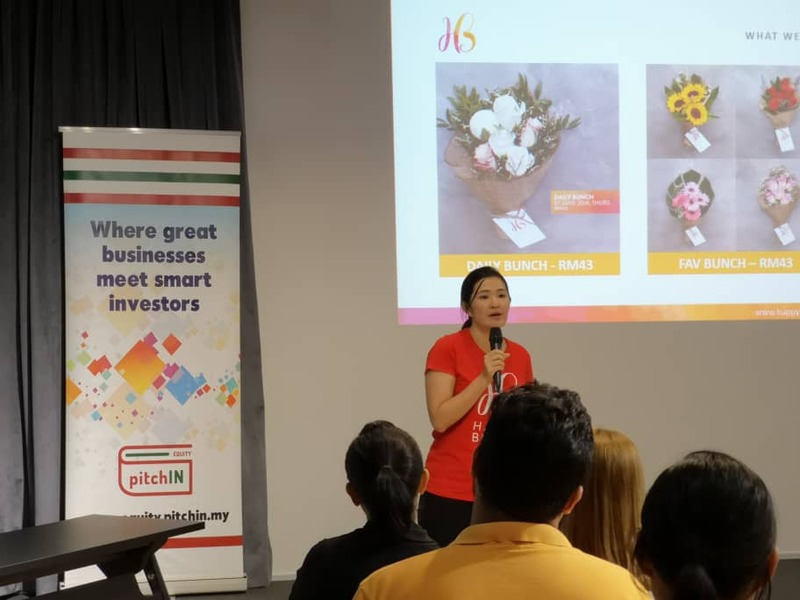 They are raising their funds through pitchIN, a crowdfunding platform which works similarly like Kickstarter where backers get a certain reward for a certain amount of backing, and the reward here would be shares of the company. They decided to do their funding through equity crowdfunding rather than the traditional venture capital route as they were already backed by a VC—Axiata Digital Innovation fund, which has helped them in their expansion plans last year. One main reason they are opening up to crowdfunding? She brought up the recent example of their Valentine’s Day incident, where they couldn’t deliver around 100 Valentine’s Day bunches. But out of that, something good shone through. “We also saw many loyal customers come to our defence. They spoke up for us and encouraged us as we tried to put the fire out as best we could,” recalled Joanne. They can thank their loyal supporters who always had their backs and reward them. Through crowdfunding, they will also have a larger group of “investors”, and Happy Bunch can see the clear benefits of mobilising this group. “Imagine the ripple effect of 1000 more people promoting a new brand campaign Happy Bunch has launched and spreading the joy and excitement to the public. 1000 people rooting for Happy Bunch as their florist of choice. 1000 people helping every marketing dollar stretch a little further. That collective voice is very powerful indeed,” Joanne said. 4 years ago, they were told that people will never buy flowers for any reason other than birthdays, anniversaries or funerals. After years of hard work, Happy Bunch managed to change the above mentioned consumer mindset. Now 70% of their customers buy flowers for any reason or no reason at all. They believe that they have successfully changed the way people gift flowers. Now they want to change the way people enjoy flowers for themselves. To achieve that mindset, Happy Bunch has to make fresh flowers more accessible and a whole lot more affordable. However, the real challenge is not just changing the mindset of consumers, it is about changing the mindset of the farmers. “This supply chain is what we’re looking to transform and we need to communicate, equip and also demonstrate to these flower farmers that they need to also evolve with us,” said Joanne. Happy Bunch are working on some new features to ensure that the process from the checking out process to sending of flowers is made even simpler. Adding in features such as “notify me when my favourite flowers are in town” or “date concierge service” will be launched regardless of whether they hit their ECF target. If they do hit their target, they will ensure that individuals are able to order freshly cut flowers directly from Cameron Highlands. Once they have the foundations, they will include other major source markets for cut flowers such as Vietnam and Thailand to be made accessible to consumers. “Imagine being able to order beautiful orchids straight from an orchid farm in Thailand! The flowers would be fresher, last longer and more importantly, be way more affordable,” said Joanne. For more information about Happy Bunch’s equity crowdfunding, you can visit pitchIN’s site here or their ECF announcement page here.